James Madison, looking much more imposing than the small-in-stature man he was in real life. 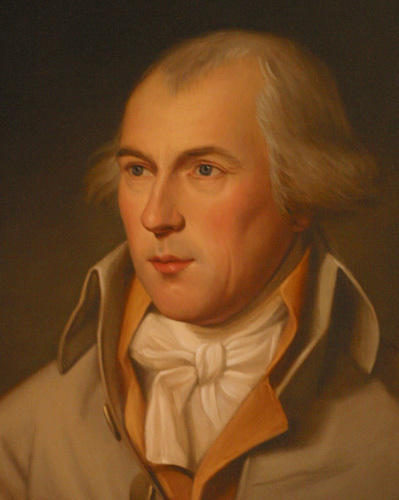 James Madison, a bachelor of 43, had a history of romantic disappointment. James Madison (1751-1836) was a man of small physical stature, anywhere between 5′ and 5’6″ tall, depending on which sources you espouse. But no source indicates him at more than 125 pounds, thus making him slight, as well as short. Obviously aware of his lack of physical presence, he nevertheless pursued a few romantic opportunities early in his life. Unsurprisingly, he was turned down. 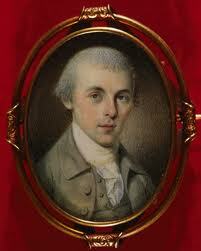 Said to be a portrait of the young James Madison. Maybe. There is a resemblance. Madison came from a well-respected and wealthy central Virginia planter family, the eldest of many siblings. His father sent him to the College of New Jersey (Princeton) for his education. He was a remarkably astute student, and eventually awarded today’s Masters’ degree in political science. Even though he was a qualified lawyer, he preferred political theory rather than mundane practice, much like Woodrow Wilson a century later. Perhaps assuming that bachelorhood was to be his lot, Madison poured his energies and passions into politics, and by his thirties, was playing an essential role in helping form a new government for a new country: The United States of America. 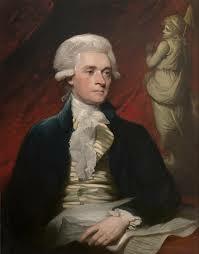 Thomas Jefferson was a lifelong friend and political intimate of James Madison. Prior to his marriage, Madison usually dressed in black. When he was still in his twenties, he formed his most important relationship: a lifelong friendship with Thomas Jefferson, another central Virginian, eight years older, just as brilliant and nearly a foot taller. Despite his dour black-clad appearance (some claiming that he looked like a little man on the way to a funeral), Madison was said to have had an outgoing personality among friends and a good raconteur, with a repertoire of ribald stories. 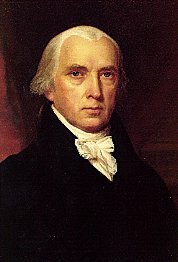 By the time James Madison was forty, he had been nicknamed “The Great Little Madison,” and was a Congressman in the new country he helped create. He moved to Philadelphia, and he became a close advisor to President George Washington and his cabinet. The building just below the steeple is said to be the Payne Boarding house, where the widow Dolley Payne Todd served as hostess. 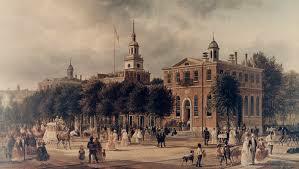 Philadelphia, circa 1790s, when it was the capital of the United States. 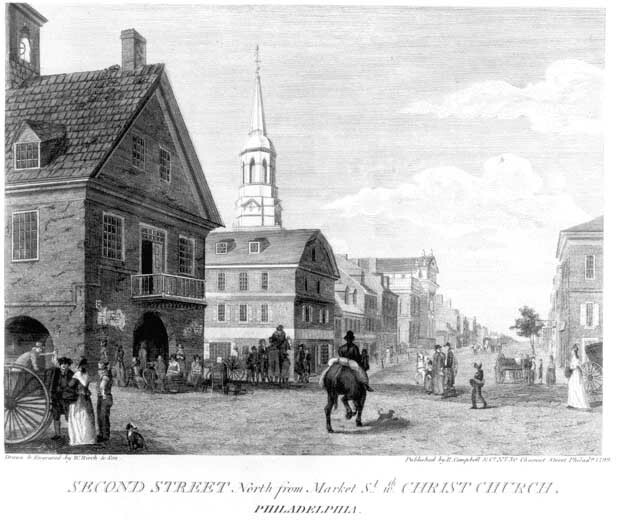 While Philadelphia was the largest city in the country in 1794, it was still a small town, compared to cities today. The population was perhaps 40,000, having just withstood a yellow fever epidemic that claimed an estimated 5,000 souls. The Widow Todd, a.k.a. Dolley Madison. One of those survivors was the young widow of Quaker lawyer John Payne Todd and her two-year-old son. The Widow Todd had returned to help manage her mother’s boarding house, temporary home to several Congressmen, one Senator and the Secretary of State, Thomas Jefferson. She graced its dinner table, the most popular venue in town. She was seen frequently among the shops and stalls of Philadelphia in her Quaker mourning garb, but mourning or not, her pleasant good looks and infectious charm turned heads, including that of Congressman James Madison. He wanted to meet her, despite the fact that she was taller than he was, as well as being seventeen years his junior. And good looking, to boot. It has never been documented why Madison didn’t ask his good friend Jefferson to facilitate the introduction, but he didn’t. Instead he asked Senator Aaron Burr of New York to arrange a meeting with the most charming hostess in Philadelphia. Congressman Madison indeed met the Widow Todd, and was enchanted. He visited the boarding house frequently and began to invite the pretty widow on carriage rides, or to concerts or lectures or to friends’ homes for small gatherings. And he did the one thing certain to win her heart: he brought toys or treats for her little boy. Not long into his courtship, Madison asked the Widow Todd to marry him. Fairly prompt remarriage was customary in colonial times, especially when there were small children involved. The Widow gently told her suitor “it was too soon.” Her first husband had only died six months earlier. 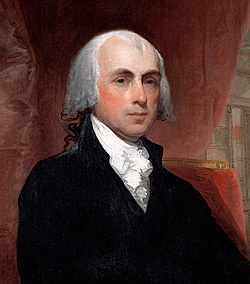 After his marriage, it is said the James Madison dressed much spiffier! James Madison was devastated. He had truly fallen in love with Mistress Todd, and had allowed himself to be vulnerable. It was another rejection. He spent a horrible day believing he would never find marital happiness. But Madison was a cerebral man, and when he mentally reviewed the events of the previous day, he realized that the Widow had not said “no.” She merely said that it was too soon. It was not a rejection per se. Maybe it was the timing. It wasn’t “no.” Maybe it was “not yet“. Risking all, he continued to woo. He continued to invite. She continued to accept. The whole town was likely aware of the ensuing courtship. 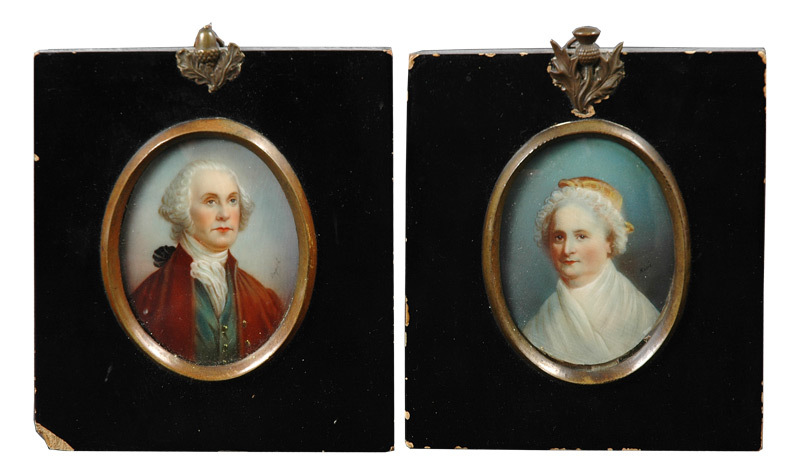 George and Martha Washington, a marital “connexion” to Dolley and a good friend to Congressman Madison. Mistress Todd’s sister had married one of George Washington’s nephews, thus making her a family connexion with family access to Lady Washington’s levees in Philadelphia. Both Washingtons knew her – and liked her enormously. In September, 1794, eleven months after John Payne Todd had died, his widow became Dolley Madison, and her life truly began. This entry was posted in A POTUS-FLOTUS Blog, James Madison and tagged Aaron Burr, American history, Colonia history, Congressman James Madison, Dolley Madison, Dolley Madison's first husband, Dolley Madison's friend Eliza Lee, Dolley Payne Todd Maidison, Eliza Lee, Feather Schwartz Foster, George Washington, history, James Madison, John Payne Todd, PResident George Washington, President Washington's Private Address to Mistress Todd, Secretary of State Thomas Jefferson, The Great Little Madison, the Widow Todd, Thomas Jefferson, US history. Bookmark the permalink. Interesting. I wondered how the withdrawn Madison managed to woo the socialite Dolley.